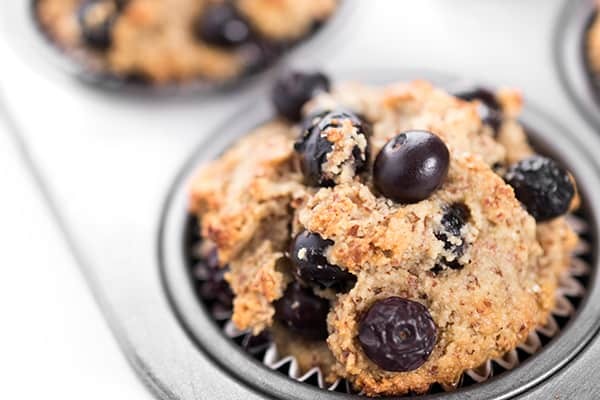 Light, nutty and moist – these gluten free muffins will have you coming back for more! I decided to create my first ever gluten-free muffin recipe. 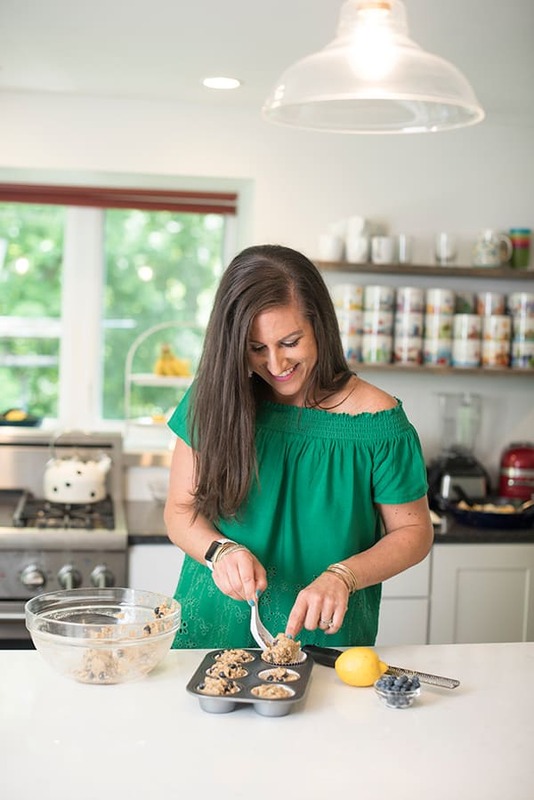 Although I don’t follow a strict gluten free diet, I have been intrigued by almond flour for quite awhile which just so happens to be the ideal wheat alternative for baking. Almond flour is loaded in health benefits! Protein packed: a serving of almond flour provides 5 grams of cholesterol-free protein. Full of vitamins and minerals including magnesium, Vitamin E, potassium and more. Of course, the million dollar question: “How do they taste? !” If you’re looking for a moist, nutty and fluffy muffin that won’t go straight to your hips, this one is for you! My boys eat these by the fistful and I’m right there with him. It’s a good thing they are so healthy! 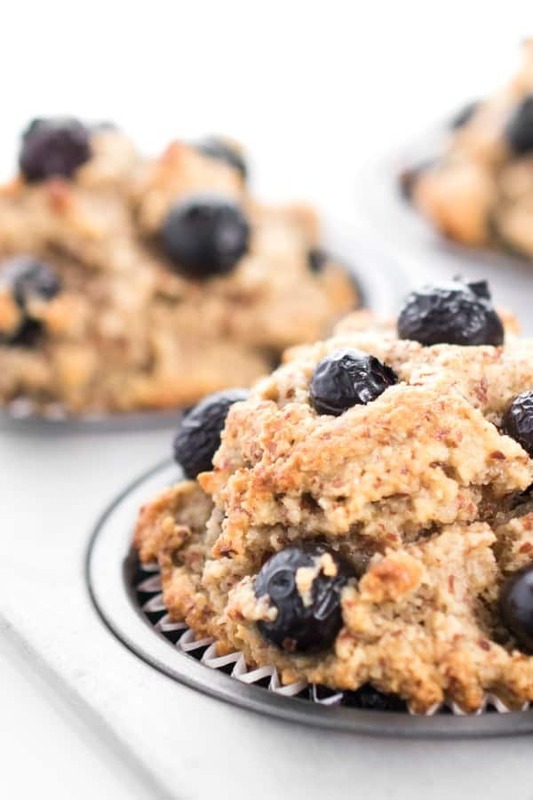 Light, nutty and moist - these gluten free muffins will have you coming back for more! Pre-heat oven to 350 and line 12 muffin tins with baking cups. In a medium bowl, whisk together almond flour, baking soda and salt; set aside. With the whisk attachment in a stand mixer, beat together eggs, egg whites, honey, olive oil, vanilla, lemon zest and juice over medium speed until combined. Slowly add the almond flour mixture into the wet mixture while running over medium speed until fully blended. Remove bowl from mixer and use a rubber spatula to gently fold in the berries. 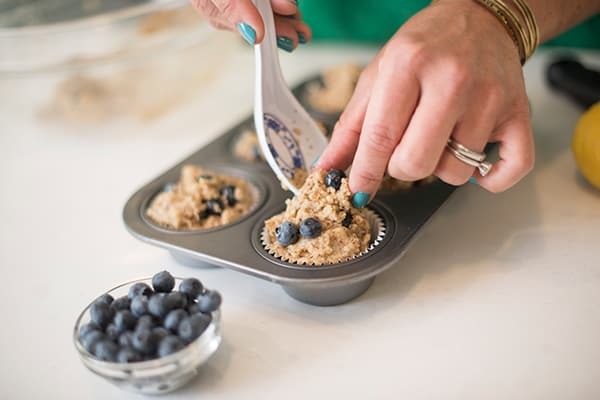 Using an ice cream scoop or large spoons, drop mixture evenly into lined muffin pan. Should be enough for 12 muffins. Bake for 25 minutes then let cool on cooling rack. Want more mouth watering gluten free recipes? Head over to my Pinterest board! Thank you so much for the recipe. I made them the other day and me and husband devoured them. 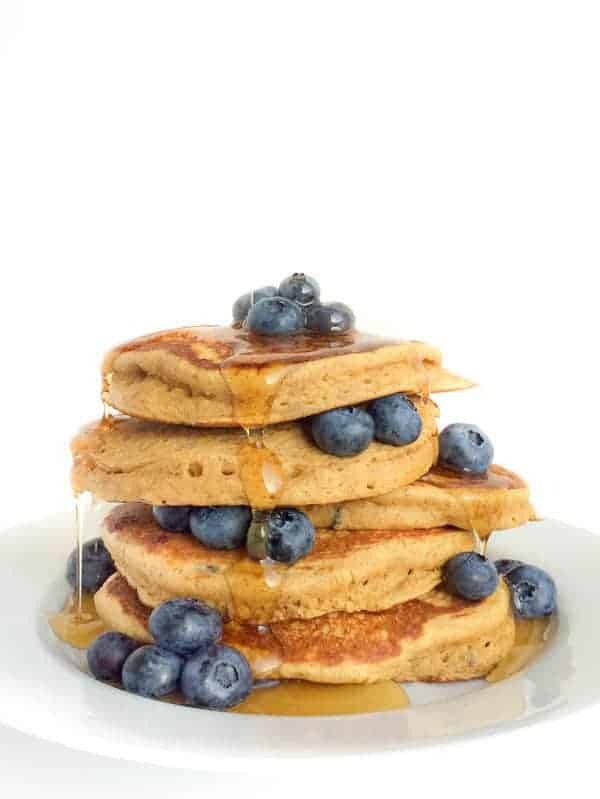 I have bananas that need to be eaten or used…have you ever tried this recipe with banana instead of blueberry? 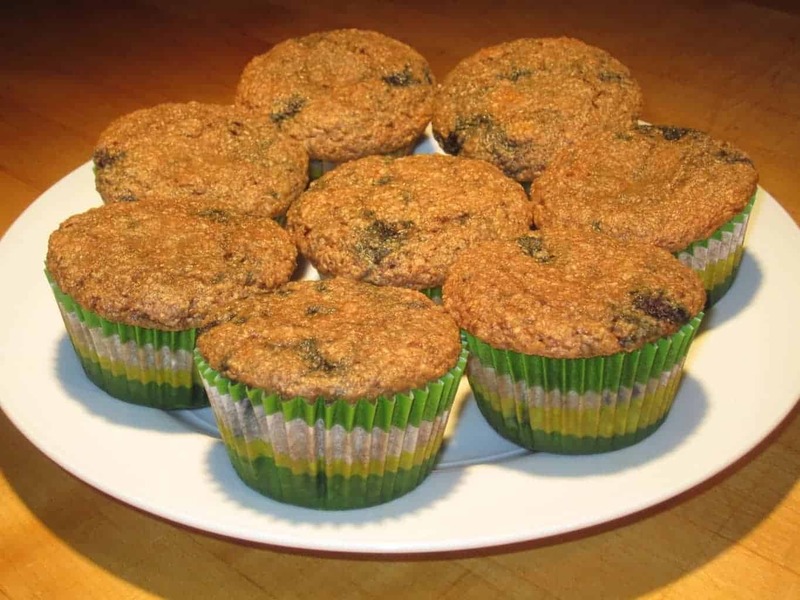 These muffins are wonderful with a couple of changes. I used ghee instead of olive oil. I also added a 1/2 teaspoon of cinnamon. All 4 of my kids and husband loved them. Even my most suspicious child of anything nutritious ate them. Thank you so much for the recipe!! Oooo such a good idea! 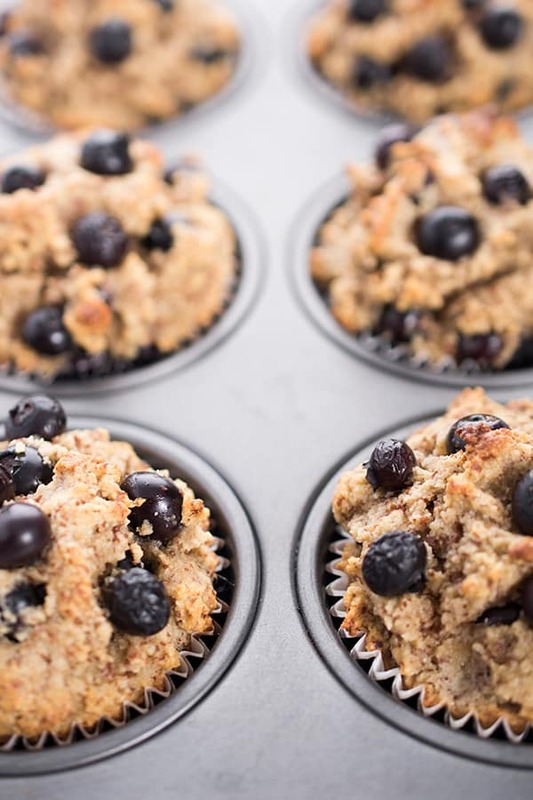 I have made many blueberry muffin recipes and this one is the best. The only thing I changed was instead of 2 eggs and 2 egg whites, I used 3 whole eggs. Other then that I followed the recipe. They came out moist and delicious! Thanks for such a great recipe! I’m so glad you liked the Karyl!! Perfect recipe! I did three whole eggs instead of two and two. And cut the honey in 1/2. I love it. Next time though I will add more lemon zest :) thank you for this! I’m just confused. I followed your recipe exactly. They didn’t look at all like your pictures. They were flat and burned. I don’t get it. I double checked everything. Hi Amanda, I’m so sorry these didn’t turn out for you! Did you make any substitutions at all? I would love to help brainstorm where you went wrong! 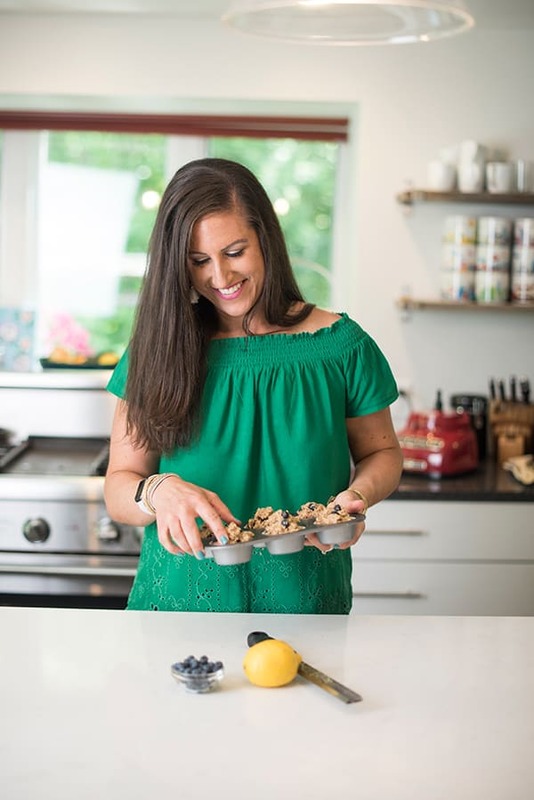 Liz a thought on using frozen blueberries and it adding extra moisture to the batter, that everyone is getting curious if this is the extra moisture problem? Just a thought. That could definitely be part of it but I use frozen all the time and seems to work? Amazing, my berries were a little large for the smaller muffin tin. I tweaked it a little (and doubled the recipe )so I added 1/4 cup of raw sugar with 1/4 honey, mostly because i didn’t want to use that much honey. 5 whole eggs, and a tablespoon of apple cider vinegar with the two lemon juice(only had one lemon) oh and some malted milk, and chia seeds (just because) turned out amazing so good. This was my first go at an all almond flour recipe and I think I’ll keep coming back to this one forsure. I’m so glad you loved them Lacey! I’m so happy!! We love them too Kristy! So glad you enjoyed them Minnie!! Made this last night with half the portions. The batter came out abit wet and runny for me too. Added a sprinkle of coconut flour to soak up the moisture. They turned out great, moist, crumbly and not too sweet. Ate 2 immediately.. Thanks for the recipe! I just made these muffins today and they were so delicious. My son who is picky when it comes to muffins, has had 2 already and he said he didn’t want to change anything when I asked him for his opinion. I love it because it is not so sweet like some other recipes. Mine batter was a little runny as one other person mentioned but the muffins came out moist an fluffy. They were perfect to my taste. This is the first time I use almond flour and I absolutely love it. Thank you so much for sharing the recipe. My teenager son said he would have it for breakfast. By the way, I used avocado oil instead of olive oil. And, I used 3 whole eggs and skipped the egg white. Totally love it. Do you think I can use coconut flour or mixture of both almond and coconut flour? I’m so happy to hear it!!! As for swapping coconut flour, I couldn’t tell you because I’ve never tested it but it’s not a 1:1 swap so I wouldn’t recommend it. I just wanted to let you know that my family liked them so much and we finished all 11 muffins that i made yesterday! I found at Costco 3lbs bag of almond flour for about $11! That was less than what I paid for 1lb at at Sprouts (not sure if you live in the U.S.). I just made 18 more and my little boy just had one. My teenage boy said this is the best muffin he has ever had. Wow! I made these blueberry almond flour muffins today. They turned out great. I love the fact they are healthy and low in sugar. It’s awesome how you used honey to make them sweet in this recipe. Thank you for sharing this recipe. ahaha I’m s glad she liked them Connie! Mine was not runny at all. Did you make any substitutions? I did not. I wonder if the egg size might have made a difference? Hmm I doubt that would be the case. So sorry I can’t help you further! I want to try this recipe but a bit confused with the first 2 eggs you mention. Are you referring to egg yolk? Just made these and they’re great! Used a handheld mixer and it was totally fine. 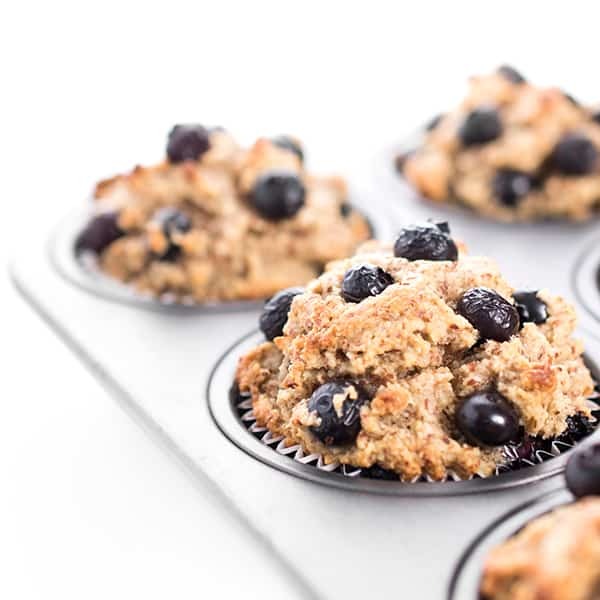 BTW there seems to be a mistake in the nutritional value you posted – 1.5 FR of sugar per muffin is not right… even just accounting for the honey you’re looking at 6 gr of sugar per muffin, and that’s before the berries and lemon juice which add a bit. Still low sugar but thought I’d mention. So glad you loved them!! GREAT catch – there must have been a glitch with my program, you’re absolutely right. There are 7 grams of sugar per muffin. It’s been revised – thanks so much!!! My five boys and husband said these were the best muffins I have ever made! Fantastic receipt! OMG That makes me so happy! I’ve got to try this recipe, but was wondering if could you add flaxseed to the batter and how much. Totally!! You could add 2 tablespoons without it impacting the recipe.